This set of Chemical Engineering MCQs focuses on “Material Balance Problems Involving Partial Saturation”. 1. A reaction has produced 5 moles of water vapor and 10 liter bone dry air at 27oC and 15 atm, what is the humidity? Explanation: Moles of bone dry air = 6, => humidity = 5/6*100 = 83%. 2. A reaction has produced 1 mole of water vapor and 5 liter of bone dry air at 27oC and 5 atm, what is the humidity? Explanation: Moles of bone dry air = 1, => Humidity = 1/1*100 = 100%. 3. A reaction has produced 0.4 mole of water vapor and 1 liter of bone dry air at 27oC and 5 atm, what is the humidity? Explanation: Moles of bone dry air = 0.2, => Humidity = 0.4/0.2*100 = 200%. 4. A reaction has produced 1.5 moles of water and 2 liter of bone dry air at 27oC and 25 atm, what is the humidity? Explanation: Moles of bone dry air = 2, => Humidity = 1.5/2*100 = 75%. 5. A reaction has produced 45 moles of water and 25 liter of bone dry air at 27oC and 25 atm, what is the humidity? Explanation: Moles of bone dry air = 25, => Humidity = 45/25*100 = 180%. 6. 1 mole of CH4 reacts completely with excess air, if 5 liter of bone dry air is produced at 27oC and 5 atm, what is the humidity? Explanation: Moles of bone dry air = 1, moles of H2O produced = 2, => humidity = 2/1*100 = 200%. 7. 2 mole of CH4 reacts completely with excess air, if 25 liter of bone dry air is produced at 27oC and 5 atm, what is the humidity? Explanation: Moles of bone dry air = 5, moles of H2O produced = 4, => humidity = 4/5*100 = 80%. 8. 0.1 mole of CH4 reacts completely with excess air, if 1 liter of bone dry air is produced at 27oC and 25 atm, what is the humidity? Explanation: Moles of bone dry air = 1, moles of H2O produced = 0.2, => humidity = 0.2/1*100 = 20%. 9. 50 mole of CH4 reacts completely with excess air, if 25 liter of bone dry air is produced at 27oC and 25 atm, what is the humidity? Explanation: Moles of bone dry air = 25, moles of H2O produced = 100, => humidity = 100/25*100 = 400%. 10. 25 mole of CH4 reacts completely with excess air, if 25 liter of bone dry air is produced at 27oC and 5 atm, what is the humidity? Explanation: Moles of bone dry air = 5, moles of H2O produced = 50, => humidity = 50/5*100 = 1000%. 11. 0.2 mole glucose reacts completely with excess air, if 5 liter of bone dry air is produced at 27oC and 5 atm, what is the humidity? Explanation: Moles of bone dry air = 1, moles of H2O produced = 1.2, => humidity = 1.2/1*100 = 120%. 12. 1 mole glucose reacts completely with excess air, if 25 liter of bone dry air is produced at 27oC and 5 atm, what is the humidity? Explanation: Moles of bone dry air = 5, moles of H2O produced = 6, => humidity = 6/5*100 = 120%. 13. 6 mole glucose reacts completely with excess air, if 25 liter of bone dry air is produced at 27oC and 20 atm, what is the humidity? Explanation: Moles of bone dry air = 20, moles of H2O produced = 36, => humidity = 36/20*100 = 180%. 14. 10 mole glucose reacts completely with excess air, if 25 liter of bone dry air is produced at 27oC and 30 atm, what is the humidity? Explanation: Moles of bone dry air = 30, moles of H2O produced = 60, => humidity = 60/30*100 = 200%. 15. 1.5 mole glucose reacts completely with excess air, if 5 liter of bone dry air is produced at 27oC and 30 atm, what is the humidity? Explanation: Moles of bone dry air = 6, moles of H2O produced = 9, => humidity = 9/6*100 = 150%. 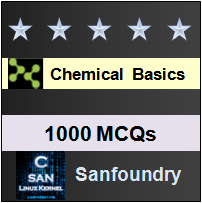 Sanfoundry Global Education & Learning Series – Basics Chemical Engineering. To practice all areas of Chemical Engineering, here is complete set of 1000+ Multiple Choice Questions and Answers.